Founded in 1957 during America's post-war boom, Streamwood found her subdivision homes being bought up by WWII veterans and Korean War veterans pursuing suburban lives. The village of Streamwood has continued to grow in size, but not without growing pains along the way. The first residents of Streamwood became politically active when they realized that the same amenities in other towns would not come to Streamwood unless the residents became involved in regular maintenance and planning for the village's wellbeing. As in the case of Streamwood's birth and continued growth, homeowners realize that regular maintenance and repair is necessary to keep their homes in good working order. 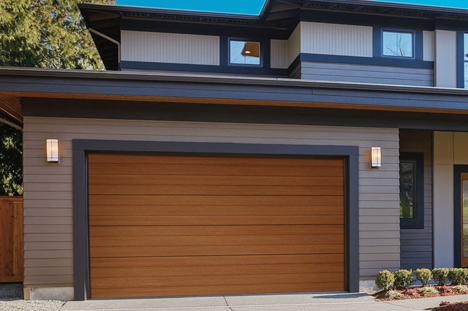 Garage doors will eventually need maintenance and repair services in order to continue functioning safely and effortlessly. When that time comes, know that BSD Garage Doors is ready and willing to help. A family-owned company with 10 years of experience in Streamwood and the surrounding areas, we offer a variety of services to cover all your garage door needs: broken spring repair, noisy garage door repair, broken garage door sensor repair, garage door tune-up, garage door installation, outdoor keypad solutions and electric garage door opener repair and installation. With 24/7 emergency service available to Streamwood residents, we are always available to assist you. We also offer special discounts to Streamwood senior citizens and AAA members. 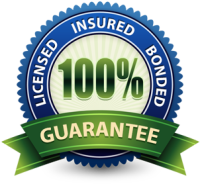 BSD Garage is licensed, bonded, and insured to service Streamwood area customers. Call us today to schedule an appointment with our skilled garage door service technicians. We would love to help you!